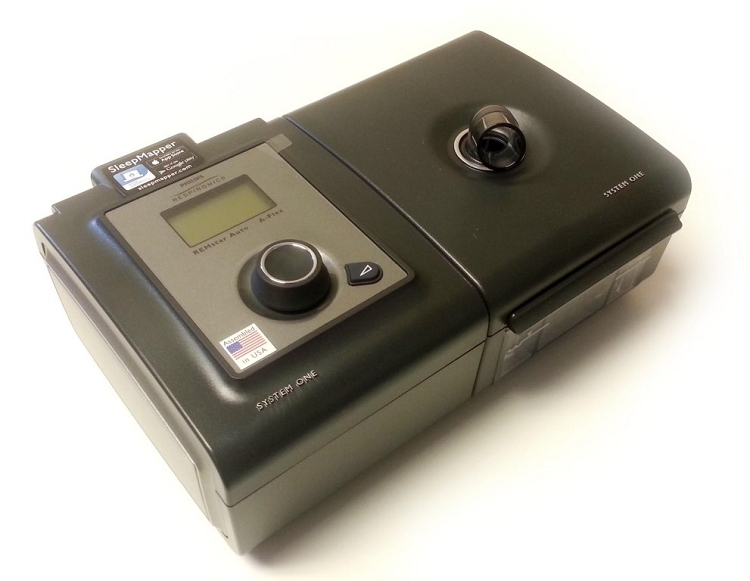 This is the newest addition to Respironics' home noninvasive ventilator fleet. The compact and lightweight unit is simple to operate, offering a straightforward user interface and an integrated heated humidifier for easier set-up and management, and can be adapted to meet a patient's needs by offering flexibility in treatment options. The unit has Spontaneous/Timed Mode (S/T), which is useful for treatment of patients with central apnea or additional underlying pulmonary conditions such as COPD and ALS. For greater flexibility, the unit has continuous positive airway pressure, Timed- and Pressure-Control Modes. Digital Auto-Trak Sensitivity™ has enhanced leak compensation to allow for better matching of the patient's breathing pattern. Vent Ramp and adjustable RiseTime™ also aid in the delivery of comfortable ventilation. * Limited to 20 cm H2O when using the Bi-Flex feature in S mode. ** Dynamic pressure accuracy is ñ 5 cm H2O measured at the patient end of the circuit with a Whisper Swivel II and varying flow conditions. Full Support MSRP: $5800; Limited Support MSRP: $5200 ** NOTICE: BestCPAPprice provides the following patient support: telephone and email support with respect to therapy questions and problems, device re-titration and calibration, replacement accessories and supplies available for purchase, after-sales service and support.